This is not news for those of you following me on instagram or facebook but for everyone who hasn't seen the beautiful PoMo Necklace: Tada! Here it is!!! 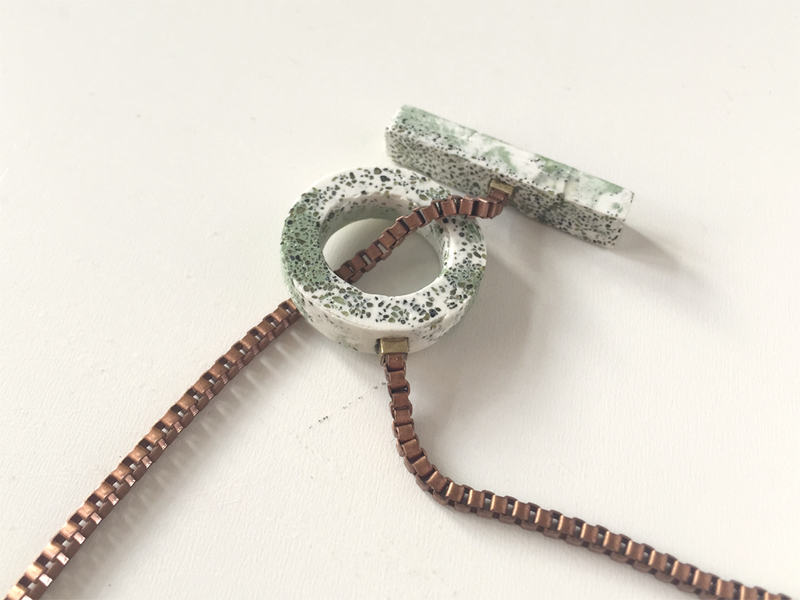 Inspired from the architecture style Postmodernism the five hair braids are held together by brass details enclosed in mint green marbled concrete squares. I added some sand from Hawaii to the mix for the extra sparkle now and then.